The St. Cloud Police department are reporting at Elia Creech, a 31-year old Magic: The Gathering player, called them after stabbing someone seven times after argueing about the game. His 20-year-old friend and he had been playing over night on Friday when a fight broke out. At first Creech used a rubber mallet as a weapon before taking a knife the fallen gamer. In the end Creech himself called 911 as he was worried he might have gone too far and killed the other player. The gamer has now been arrested and charged with both first and second-degree assult. This isn’t the first time Creech has had a run in with the police before. He’s previously been booked for storing up explosives with the intent to use them. Via Beth Elderkin at io9. 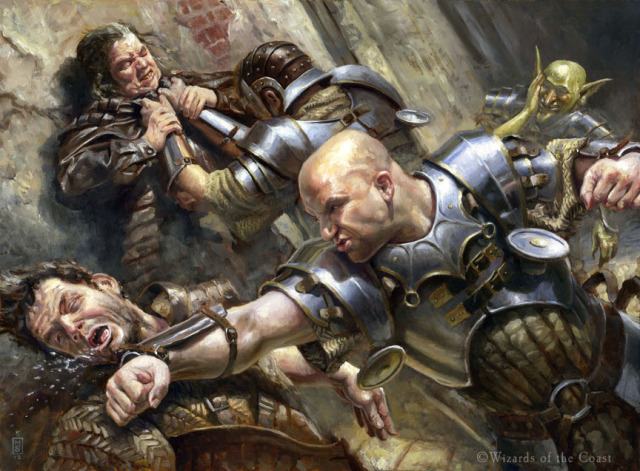 Will small stores suffer as Magic: The Gathering drops suggested retail prices?